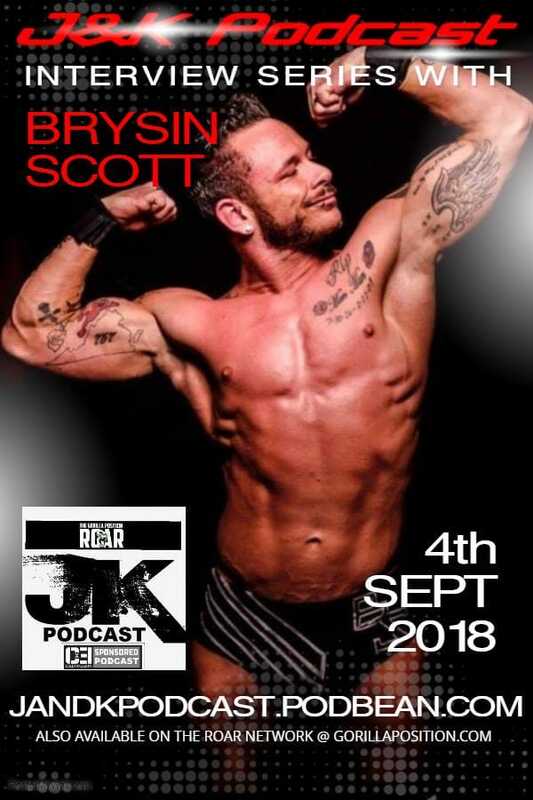 THE J & K PODCAST – 09.04.2018: A ‘Studtacular’ All In 2? On this week’s show, the guys discuss Likely the most important professional wrestling show to happen since 2001. They go through and highlight all the notable moments from the show. Spoiler alert…all the moments were notable. Then, Joe & Karl sit down and talk to this week’s special guest, Brysin Scott. Current Texas Wrestling Association North American Champion. They discuss his approach to his in ring work. He talks about dealing with PTSD and how wrestling can be therapy for those dealing with those kind of issues, what it was like working a match for WWE, and more. We are a proud part of The Roar Network that includes ourselves, the Hitting The Marks Pro Wrestling Podcast, The Average Marks, Going Home and The Rhythm of The Ring.